Ever since I first started appreciating wine, I’ve dreamed of visiting Napa Valley. While I knew it would be stunningly beautiful and someplace I'd love, I also anticipated a sense of pretension. I mean, can you blame me? Napa is home to some of the best wine in the entire world (we’re talking serious epicurean knowledge). But I couldn't have been more wrong. I had nothing but kind and hospitable encounters everywhere we went and there truly wasn't a single moment where I wasn't impressed. While there are still tons of places I want to go back and experience that I didn't have time for this trip, I've pulled together everything you need to plan your own Napa Valley getaway that's sure to be unforgettable. Regardless of where you decide to stay in Napa, remember that these wineries are spread out across sprawling estates (not condensed city blocks designed for walking everywhere). Be responsible and arrange transportation for all tastings (cabs, Uber, or private car services). With that said, I was so happy with Marriott Napa Valley's location and proximity to everything. We were close to downtown Napa, Yountville (one of my favorite towns!) and all the wineries we chose to visit. Once we arrived, I was even more pleased and so impressed with the attention to detail and hospitable staff that greeted us (in all sincerity, everyone went above and beyond to make us feel welcomed and taken care of). Napa Valley Marriott Hotel & Spa was, and will continue to be a premier Napa Valley oasis that I highly recommend for your visit. World renown Chef Thomas Keller opened Bouchon, offering authentic French bistro fare with unfailing attention to detail in both ingredients and presentation. Their seasonal menu and raw bar selections change throughout the year, while staples like roast chicken, leg of lamb, and trout amandine remain as consistent, year-round favorites. The Vin en Carafe program at Bouchon features selections made exclusively for the restaurant from top wineries in Napa Valley and France. Bouchon has consistently received the highest of accolades from both the food industry and international press ever since it opened (including being awarded a Michelin Star). Which is why I didn't skip a beat to try as many dishes as possible (including my first taste of escargot-- which I actually loved!) But my favorite part was that their impressive reputation didn't stand in the way of fantastic service. We were greeted with complimentary champagne and sent off after a celebratory birthday dessert. All of our questions were answered knowledgeably without the slightest hint of pretentiousness. I loved everything about our dinner experience there and would definitely go back. Just next door to Bouchon Bistro, Chef Thomas Keller opened the doors of his first Bouchon Bakery. Located in Yountville, California, Bouchon Bakery was first conceived as a way to provide these restaurants with one-of-a-kind breads. Quickly, the bakery blossomed into an important establishment in its own right. In the style of classic French boulangeries, the bakery features a wide selection of artisanal breads and classic desserts inspired by Chef Keller’s memories of life in France, as well as his own childhood in the United States. R+D Kitchen is a local favorite in the heart of Napa Valley and offers crisp and flavorful dishes in a quintessential indoor-outdoor space. We sat in adirondack chairs by fire pits outside for happy hour before moving indoors for dinner, which makes sense because R+D is inspired by California's indoor/outdoor culture with spaces that are light filled and intimate in feel. The Thai Tuna Roll was arguably the best sushi I've ever eaten, and I still dream about their Cashew Kale Salad. Artesa was our first stop in Napa, and I can't think of a more stunning setting to kick off our trip. The sweeping views from the estate are enough to take your breath away. We were greeted with delicious Cava (which we learned got it's name from the roots of Artesa's Spanish winemaking family Codorníu Raventós) and a private tour of the grounds to learn about the winery's history. It opened in 1991 as Codorníu Napa, later renamed Artesa – which is Catalan for “handcrafted” – in 1997, and has since become a leading producer of artisan wines from the varietals for which Carneros and Napa Valley are best known: Chardonnay, Pinot Noir and Cabernet Sauvignon. They handcraft their wines from single vineyard blocks, treating them individually and keeping them separate throughout the winemaking process. All the wines we tasted were incredible (although my personal favorites were the Chardonnay Estate Reserve and the Codorniu Grand Reserve Brut Rosé.) Schedule a tour of your own, or pop in for a tasting to drink up the view (and a variety of delicious wine). The Domaine Carneros grounds are so beautiful, you could sit and admire them for hours. Pair with their delicious sparkling wine flights (my favorite was their Brut Rosé) and you'll stay even longer. We had the best time sitting on the patio and drinking it all in. Reservations are required, so call or book online in advance. Unless you've been living under a rock, you've likely seen or tried Chandon at some point in your life. This winery was established in 1973 by Moët et Chandon as the first French-owned sparkling wine producer in Napa Valley. It's no secret that champagne should only be called so if it was grown in the Champagne region of France (which Moët et Chandon is). So abiding by the appropriate nomenclature, Chandon prides themselves as a premium "sparkling wine" maker. We had such a fantastic time touring the grounds and learning about the entire process from growing to sipping. I would have thought that since I could purchase such widely distributed product anywhere that there was no need to buy anything during my visit, but they have such a variety of delicious reserve bottles that you can only get on site. I came home with a bottle of the winery exclusive Sparkling Red to save for a special holiday and the étoile Tête de Cuvée I'll pop for another celebratory occasion someday. You can choose from a variety of tastings, but I highly recommend the private tour for a more intimate and informative experience. Book online or call to schedule. Charles Krug was a Prussian immigrant who established his winery in 1861 (now under the ownership of the Mondavi family) and has been producing the finest handcrafted Bordeaux varietals in Napa for over 70 years now. They own 850 acres of prime Napa Valley land (located in St. Helena, Yountville, Carneros appellations and on Howell Mountain.) We went for a private tour of the cellar and a Reserve Flight Tasting (which included 5 fantastic reserve red wines). My favorite bottle that I brought home was their 2012 Howell Mountain Cabernet Sauvignon (which you can only find at the winery and a few select restaurants). Walk in tastings are welcome, however for the full experience book a tour in advance. 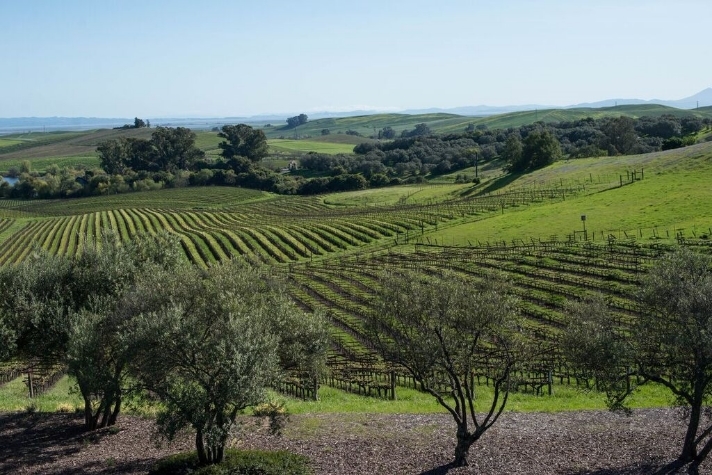 Sattui Winery is located on a 38-acre organically farmed vineyard in St. Helena, and produces more than 60 different highly rated wines from 20 different varieties of grapes. Every V. Sattui bottle is sold directly from the Winery, from their website or via the Wine Club (you won't find wines sold in stores anywhere else!) My absolute favorite was the 2012 Mt. Veeder Cabernet Sauvignon (which was recently awarded as "Wine of the Year"). 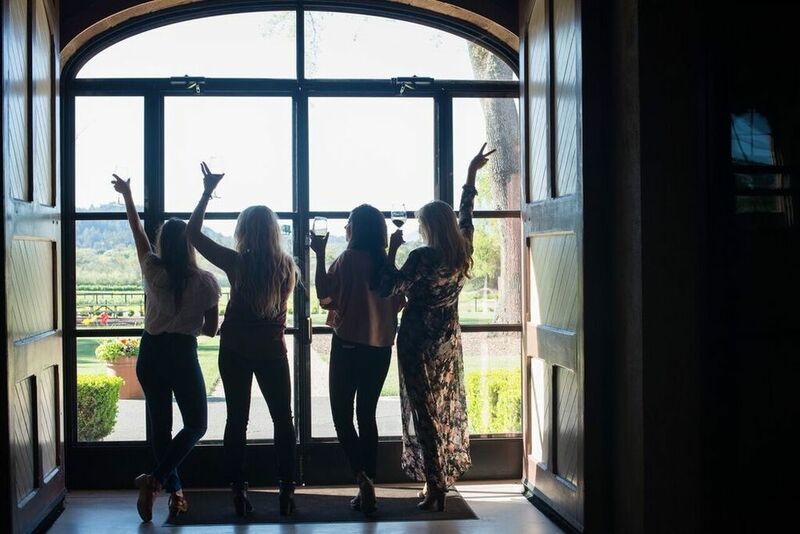 V. Sattui Winery offers a consistently welcoming, delicious and authentic Wine Country experience for all guests and is the ideal Napa Valley destination for picnics, wedding and events. We loved meeting the staff + snacking on the delicious artisan cheese plate they curated for us during our tasting! Walk ins are welcome, but book a tour for the full experience. One of the most unforgettable experiences of our entire trip was our sunrise hot air balloon ride with Napa Valley Aloft. Waking up before the sun on vacation feels somewhat counterintuitive, but you'll forget all about it the moment you take off. Our pilot Jay was one of the most fascinating people I've ever met, and he made our hour long flight so fun. I could go on and on about why you should put this at the top of your list, but I'll just let the pictures speak on my behalf. Just do yourself a favor and book your flight now. Napa exceeded any expectation I could have ever imagined. I was blown away by how kind, hospitable, and down to earth the people were. I was overwhelmed by all the beautiful scenery and delicious food + wine that was available. And I left with some of the most special and unforgettable memories with my best friends. I have every intention of planning more trips back in the future and can't recommend enough why you should pay a visit of your own.